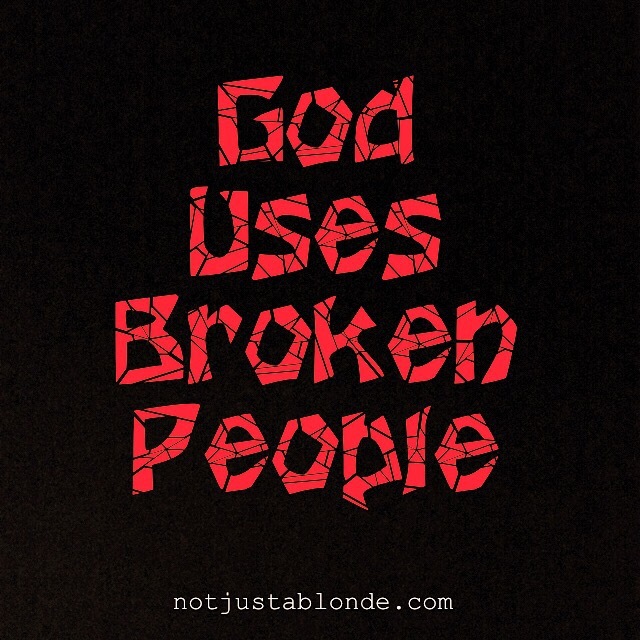 God uses broken people. Broken people are often the most willing to let go of their own ideas and ideologies. Broken people have cracks and defects allowing God to seep inside their hearts and lives. Broken people are humble and less likely to demand perfection from others as they are fully aware of the lack of perfection within themselves. Instead of praying for God to fix us, perhaps our prayer should be for God to illuminate our weaknesses, imperfections and flaws so that we too may be broken. Letting go of the need to attain perfection in this life we can use our brokenness to reach out to others with humility and with love.